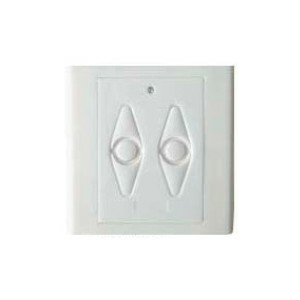 RollerTrol™﻿ 2 channel wireless RF remote control for radio motors, wall mount. 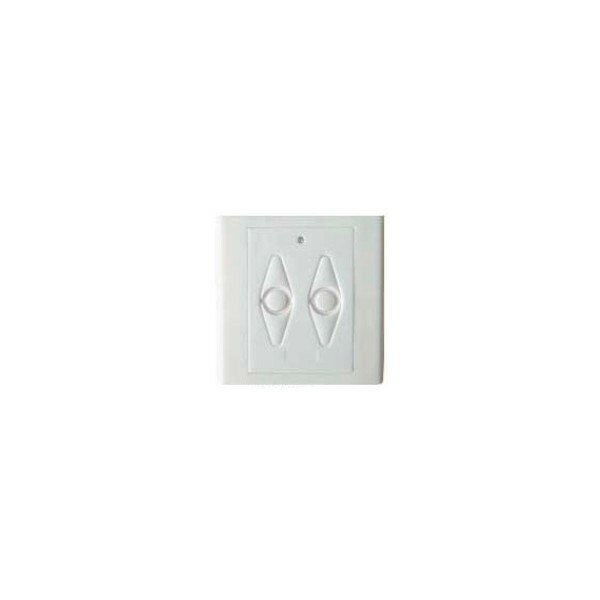 The radio signal travels through walls, you can assign multiple motors to this single channel wall switch. Battery for electronics lasts for years, NO WIRING REQUIRED. Use more than one of these remotes to control multiple motors from different locations, set travel limits without touching motor (1 ch also available).